Facelifts require anesthesia and during your pre-surgery consultation, Dr. Jejurikar will discuss which type of anesthesia will be the most appropriate. Dr. Jejurikar will make an incision under the hairline at the temples, around the ear to the lower scalp. This allows your scars to remain hidden beneath your hair and in the natural creases of your face and ears. Next, he will sculpt or redistribute the fat, lift the muscles and deep tissues, and redrape and trim the excess skin. If you are also having a neck lift, he will make a second incision under your chin. You should expect some swelling and bruising after a facelift and this will subside within a week or two. You should be able to return to your normal activities within two to three weeks. Dr. Jejurikar will be happy to talk with you personally to address any of your questions or concerns. 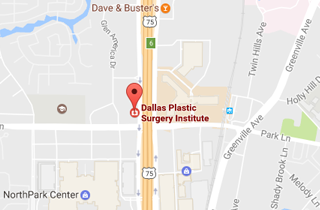 Call (214) 827-2814 to schedule your one-on-one consultation with Dr. J. to discuss a Facelift at our office located in Dallas, TX.